After last night’s dinner expedition, I think we’ll probably stay in next Valentine’s Day. I love fondue! What a cute and fun idea! 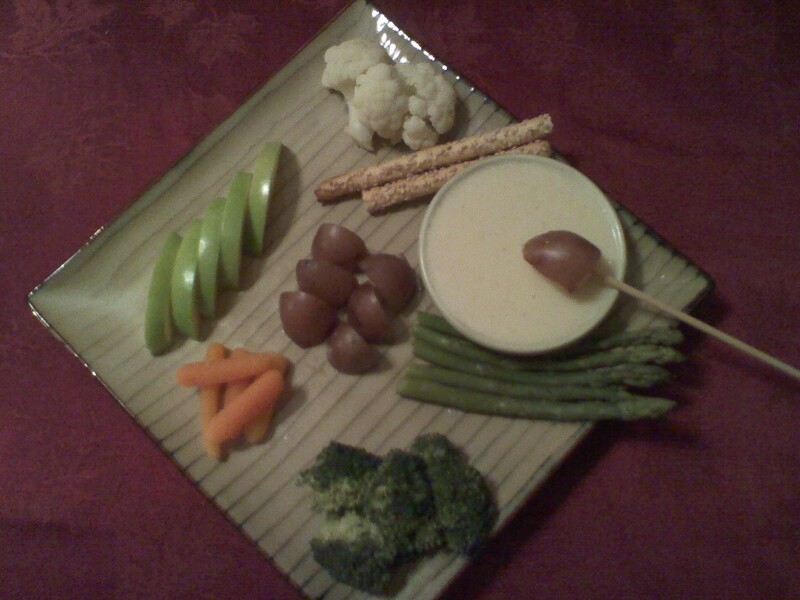 I took a fondue class with a friend recently, I can’t wait to put my new knowledge to use! This is adorable! Staying in can definitely be better. We never go out on the actual day of- who wants to wait extra long to eat extra fast and pay extra much? This makes me want to buy a fondue pot. It also looks like a really good excuse to spend some time with my friend melty cheese.